Dr. Sidle specializes in cosmetic and reconstructive surgery of the face, head, and neck. His services range from minimally invasive office procedures with little to no down time to major operations leading to dramatic improvements in appearance. Dr. Sidle is one of a select group of cosmetic surgeons who are “double boarded”. He is Board Certified by the American Board of Facial Plastic and Reconstructive Surgery and by the American Board of Otolaryngology-Head and Neck Surgery. Furthermore, he is a member of the American Academy of Facial Plastic and Reconstructive Surgery and the International Society of Hair Restoration Surgeons. He received his B.A. in biology at the University of Illinois and his M.D. at the University of Illinois at Chicago College of Medicine. He did his surgical residency training in Otolaryngology-Head and Neck Surgery at Northwestern University Medical School. Dr. Sidle completed his specialty training with a fellowship in Facial Plastic Reconstructive Surgery at the University of California, San Francisco. While in San Francisco, he trained with world-renowned facial plastic surgeons Corey S. Maas, M.D., and Sheldon S. Kabaker, M.D. In 2005, Dr. Sidle was appointed as Director of the Division of Facial Plastic and Reconstructive Surgery in the Department of Otolaryngology – Head and Neck Surgery at Northwestern University. Dr. Sidle’s expertise is in surgical and non-surgical improvements of the face, head and neck. He is skilled in both primary and revision rhinoplasty for the improvement of both appearance and breathing. Complex nasal reconstruction, facial rejuvenation (facelifts, neck lifts, eyelid and forehead surgery) as well as reconstruction of congenital and traumatic facial deformities are among the procedures he commonly performs. He is trained in an assortment of in-office procedures for facial rejuvenation, including Botox, Restylane, Juvederm, implantable materials for augmentation, and skin resurfacing. Finally, he has extensive training in hair restoration surgery including hair transplantation and hairline lowering. His philosophy regarding cosmetic and reconstructive procedures is to strive for aesthetic improvements which are natural and harmonious with each patient’s individual features, avoiding an artificial, operated appearance. 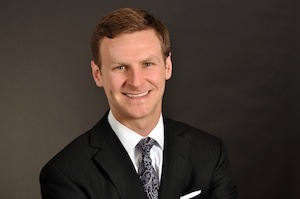 Dr. Sidle is actively involved in teaching facial plastic and reconstructive surgery in the Otolaryngology residency program and medical school at Northwestern University. His past academic activities have resulted in articles and chapters in the medical literature as well as participation in FDA drug studies. Dr. Sidle regularly lectures at both the local and national level. Dr. Sidle is a contributing facial plastic surgeon on RealSelf.